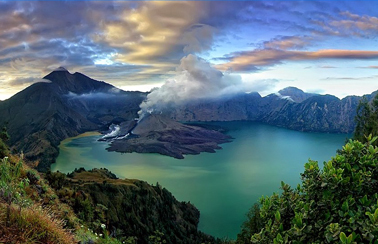 Lombok Island is Bali's neighboring Island on the east. Lombok's panorama is as beautiful as Bali island. Some people say that Lombok is Bali in the 60's. What you can find in Bali certainly can be found in this island with different atmosphere. The earliest recorded society on Lombok was relatively small kingdom of the Sasaks. The Sasak peoples were agriculturalists and animists who practised ancestor and spirit worship. The original Sasaks are believed to have come overland from north-west India or Myanmar (Burma) in waves of migration that predated most Indonesian ethnic group. Few relic remain from the old animist kingdoms, and the majority of Sasaks today are Muslim, although animism has left its mark on the culture. 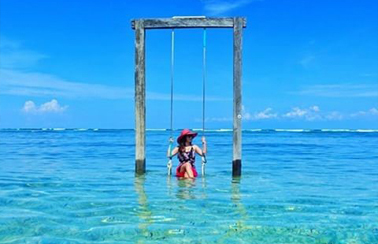 With divine beaches, the majestic Mt Rinjani and spectacular marine life to discover, the island of Lombok in West Nusa Tenggara has no shortage of attractions both in and out of the water. 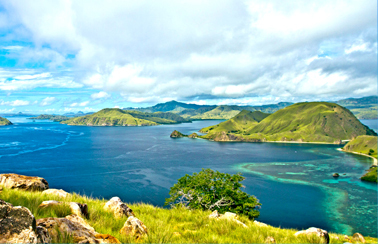 It’s little wonder then that Lombok is the most popular destination in West Nusa Tenggara. Challenge yourself with a trek up steep volcanic peaks. Pick one of the packages of Lombok Island Tours and discover lush evergreen rice paddies, the locals of Sasak tribe and experience their daily life in the weaving village of Sade and Rambitan on . You may learn a thing or two from the wonderful women with meticulous weaving skills that produces fine quality textiles. Whichever way you choose to spend your time you won’t be disappointed with the spectacular natural beauty on offer here. Sharing the same name to notorious Bali’s Kuta Beach, the Lombok’s Kuta Beach offers a different vibe with no less attractions. Explore more phenomenal beaches down its south coast like the famous Tangsi ‘Pink’ Beach in further south east, with pretty corals making the shore looked blushed. Find the amazing Senaru Waterfalls and Benang Kelambu Waterfalls for a soothing sight on Lombok Island Tours. And don’t miss out to join Grupuk surf camp and brush up your wave riding skills in the splendid Selong Belanak Beach. There is so much to see, do, discover and experience on Lombok! If you do not have the time to tour all around the island and beyond, in this page you will find a wide variety of Cheap Lombok Island Tour Packages to suit your preferences. Whether you want to immerse yourself into a cultural tribe, get some great deals at the local markets, sunbathe on some untouched beaches or experience the wonderful underwater world, we have something for you! Booking your ‘real’ Lombok experience is only a few clicks away!